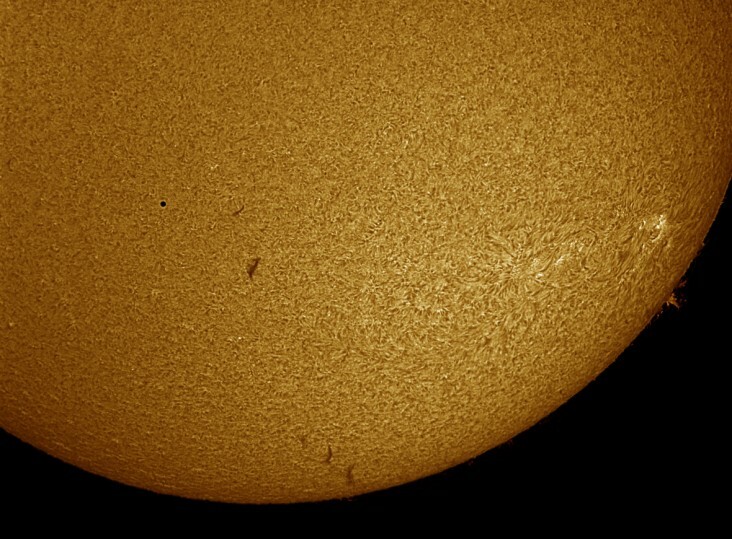 Explanation: Enjoying Wednesday's transit of Mercury from Dallas, Texas, astronomer Phil Jones recorded this detailed image of the Sun. Along with a silhouette of the innermost planet, a network of cells and dark filaments can be seen against a bright solar disk with spicules and prominences along the Sun's edge. The composited image was taken through a telescope equiped with an H-alpha filter that narrowly transmits only the red light from hydrogen atoms. Such images emphasize the solar chromosphere, the region of the Sun's atmosphere immediately above its photosphere or normally visible surface. 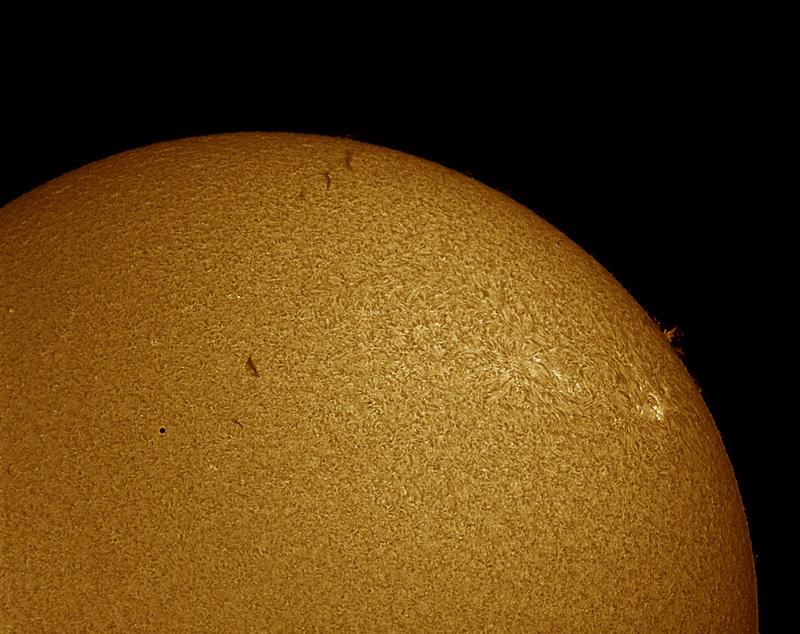 Left of center, the tiny disk of Mercury seems to be imitating a small sunspot that looks a little too round. But in H-alpha pictures, sunspot regions are usually dominated by bright splotches (called plages) on the solar chromosphere.